So we're several weeks on from the scooterboy revelations about French presidential peccadillos. Hollande seems to have gained some 'man' stripes for conforming to (stereo)type, Trierweiler is out of hospital and resting, Gayet is getting legal and over the Atlantic, Obama and Michelle are awaiting confirmation of which concubine Hollande will be bringing with him (if any) on his upcoming visit to the US. To privacy law and while Hollande has (thus far) taken the (what I would argue) is the sensible course and not sought to bring legal proceedings, Gayet has (perhaps to compensate for the embarrassment of tittle tattle being outed as an affair with a not particularly image-enhancing Hollande) set her lawyers loose. While the international media have got very excited over this story and now that French media are joining in - to the extent they see there is some commercial value in doing so - what implications does this have when it comes to privacy law? 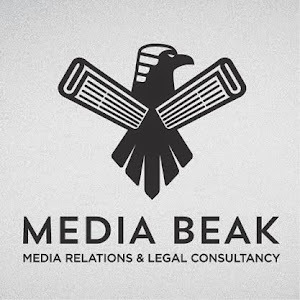 As Mediabeak has already reported, French privacy laws are seen as stricter than their counterparts in other countries but - given the level of fine v. commercial gain, is no longer the deterrent it may have been. Indeed while attracting legal penalty it was perhaps, ironically, the moral deterrent of being prosecuted and having to atone on ones front page (as French law requires publications to do) that was the greater. While the Hollande affair has, largely, left the French non-plussed as to the finer points of privacy, it has stirred some debate as to the extent to which the President - or for that matter anyone in public office or the public eye - can expect or enjoy significant or absolute privacy protection when it comes to what they get up to in their private lives. Here the European Court of Human Rights (ECHR) has within the last week provided some clarification and guidance. Judgment in the case of Ruusunen v Finland (Application no. 73579/10) was handed down on 14 January 2014 and provides a good summary and then conclusive view of the European Court in relation to the balance between Article 10 rights to free speech as against Article 8 rights to privacy. 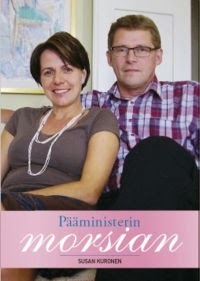 The case in issue concerned a kiss'n'tell fairly badly written book about a single mother's affair with the divorced but still in office Finnish Prime Minister Matti Vanhanen. Beyond the usual muck-raking and salacious reports that accompany any such kiss'n'tell, the key issue - in terms of privacy law from a ECHR perspective - was to what extent those in the public eye (such as politicians, presidents, royalty, etc) can enjoy rights to privacy and whether there is a notional sliding scale whereby their assumed rights decrease in proportion to the extent to which their activities are in the public interest and domain AND what they do (beyond their roles and duties of office etc) and are happy to share with the public is also in the public domain. I would argue that whether royalty, politician or 'celebrity' there is a sliding scale whereby the more public or commercialised someone's image already is, the less privacy protection they can realistically seek to secure (save for intimate details of a sexual or medical nature that cannot sufficiently satisfy a public interest test). Indeed this is what the ECHR has confirmed. In its judgment the court discussed the interplay between Article 10 and Article 8 rights and (in relation to how individual member states apply these) the'margin of appreciation' in balancing these two conflicting interests (at para 43 of judgment). The way the ECHR articles - both 10 and 8 - are constructed is such that where there is to be interference with either an Article 10 right to free speech or and Article 8 right to privacy, the qualification at sub-paragraph (2) of both Articles in relation to the exercise of the right being 'subject to law' AND 'necessary in a democratic society' needs to be justified. It is not sufficient therefore that there exists a competing or constraining law (e.g. domestic privacy related law - as was the case in Ruusunen) BUT it has to be shown that the exercise of that law in all the circumstances was 'necessary'. 48. In order to assess whether the “necessity” of the restriction of the exercise of the freedom of expression has been established convincingly, the Court must examine the issue essentially from the standpoint of the relevance and sufficiency of the reasons given by the domestic courts for convicting the applicant and imposing a fine. The Court must determine whether her conviction and the criminal sanction imposed on her struck a fair balance between the public and the former Prime Minister’s interests and whether the standards applied were in conformity with the principles embodied in Article 10 (see Von Hannover v. Germany (no. 2) [GC], cited above, §§ 109-113; and Axel Springer AG v. Germany [GC], cited above, §§ 89-95). 49. The Court considers that even though the emphasis in the book was on the applicant’s private life, it nevertheless contained elements of public interest. The Supreme Court considered, contrary to the Appeal Court, that the information about how and when the former Prime Minister had met the applicant and how quickly their relationship had developed had relevance to general public discussion as these issues raised the question of whether in this respect he had been dishonest and lacked judgment. The Supreme Court also found that the information concerning the great differences in the standard of living between the applicant and the former Prime Minister, his lifestyle, the data protection concerns and the protection of the highest political authorities in general had relevance to general public discussion. The Court agrees with this. From the point of view of the general public’s right to receive information about matters of public interest, there were thus justified grounds for publishing the book. The judgment provides a succinct and very helpful summary of the relevant recent cases of : Jersild v Denmark; Lingens v Austria; Von Hannover v Germany; Axel Springer v Germany. In terms of the Ruusunen case, the ECHR did agree with the national courts that some of the material was too explicit to fall within any public interest and as such did transgress the right to know v right to privacy divide. The main message and law coming out of the case is however that for politicians and others in the public eye, your office, status, fame etc comes at a price and that price is the legitimate entitlement to and parameters of privacy you can expect. So back to France and the lesson from Ruusunen is to follow Verhanen's approach and for Hollande to stick to politics and not get embroiled in developing French presidential privacy law. The message to Gayet has to be, litigate if you want more headlines and few thousand Euro, otherwise, spare yourself more outing (as Closer has shown its happy to trade circulation for litigation). Meanwhile Trierweiler is presumably waiting to have her position clarified before deciding who, if anyone, to sue (her best bet would be to sell rather than sue when it comes to her story...but that's probably a cynical point of view! ).